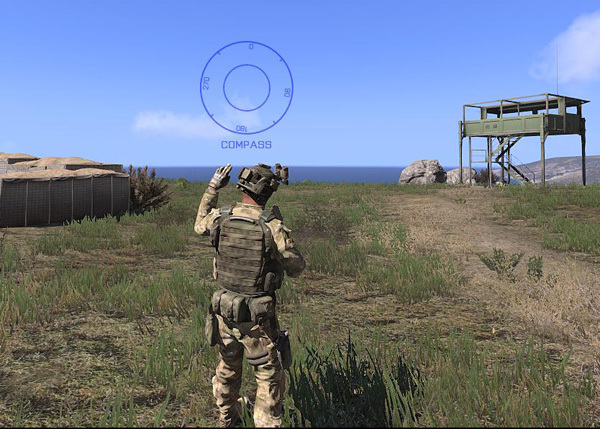 ArmA 3 has already more than 1400 commands. While 1200 or so of them are ArmA 2, new commands are often not documented well enough. I think I should start including my findings in blog posts for future reference. So today it will be about distanceSqr, linearConversion, difficulty, setAmmo and drawIcon3D. This command simply gives you the index of selected difficulty as it appears in CfgDifficulties. By default there are 4 difficulty classes: Recruit, Regular, Veteran and Mercenary (displayName “Elite”). I’ve added 1 more difficulty and called it Insane. EDIT: See also this link for drawIcon3D. kudos, your posts are tremendously interesting KK. I recently started playing around with Arma scripts and find your structured approach very rewarding. I wonder if in the future you could spend a post (or two) on how you set up your development environment, the tools you normally use and the configuration steps for setting up a sandbox for developing scripts. Do you use some kind of custom ‘unit-test’ framework that prepares the necessary context for your script to execute and cleans afterwards? You start with the embedded debug console? Tips like that are quite valuable in my opinion. Keep up the good work! As a newbie I am digesting the content you share at a much lower pace then the one you produce it but I hope I can eventually catch up.. I use ArmA 3 debug console for quick tests and thanks to more intuitive ArmA 3 editor putting something together for a more complicated test is as easy. Other than that I don’t know what to suggest. this is very useful as the community wiki doesn’t state that the command requires the addons textures. However, I have a little question about the path for the textures. From my observation, the radar_ca.paa is actually located in a folder called ui_f_data.pbo so is there any other way to read the actual path for those addon files? Not sure what you’re asking. If you need paths to other images, you need to open up pbos with something like dePbo, then you can browse all assets and just copy the path to the one you want. If you are using oneachframe elsewhere, it will overwrite previous one. Use draw3d event handler instead. Many thanks KK for all your tutorials. I’m trying to do my own HUD. It sounds fine but… i didn’t find a way to do this kind of compass, centered on screen, with DrawIcon3D. - structuredText or any static controls (on screen) but without any rotation or even mirroring text. Any solution to rotate a centered image or text on a defined (x,y) screen position? Hi, thanks for your answer. you prevent me from wasting my time. I understand that “map”, in this case, can’t be “screen” or more exactly custom titles display. I avoid scripting in dev version because i would like to share (add-on via steam ?) for current version.